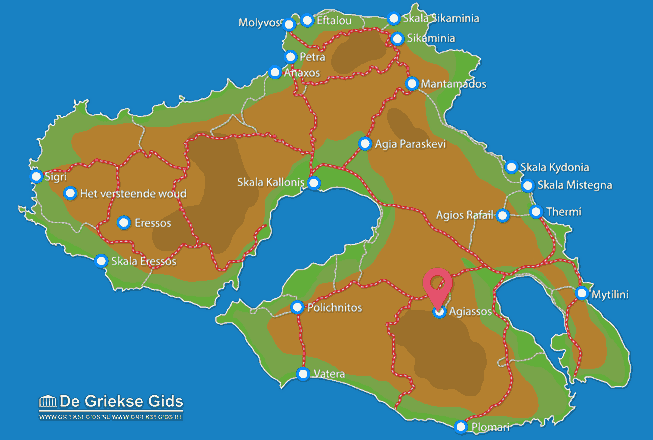 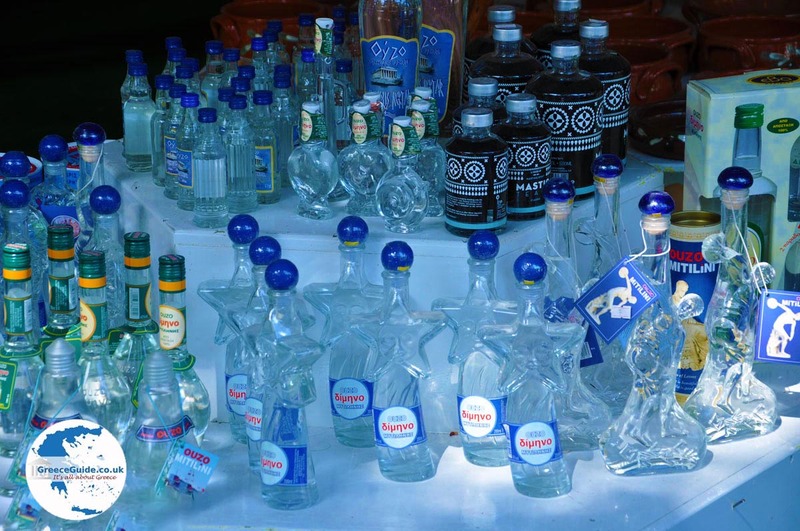 Agiassos (Agiasos). 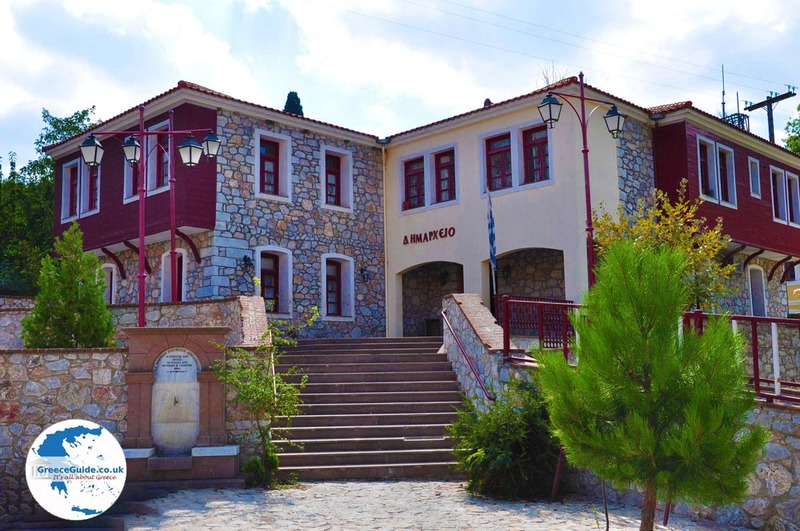 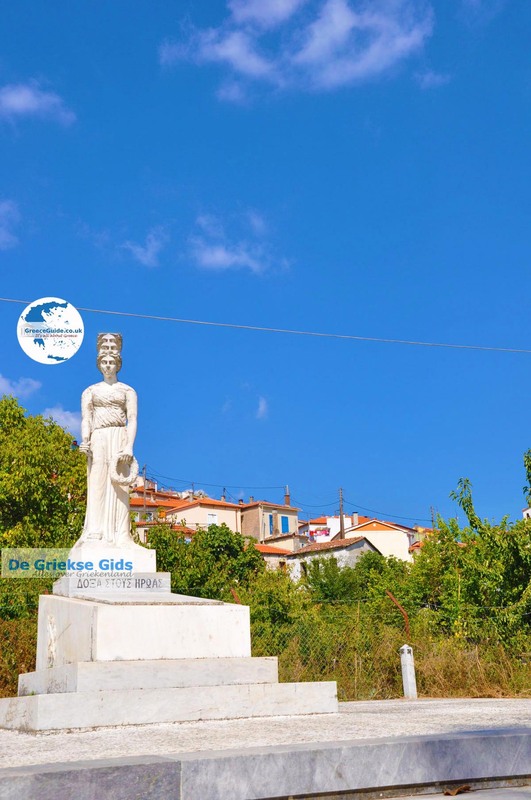 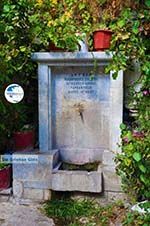 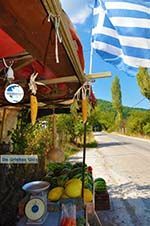 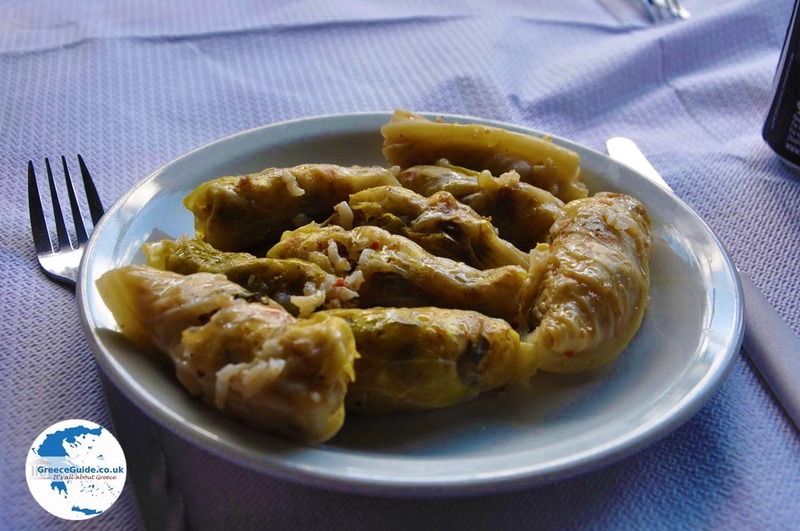 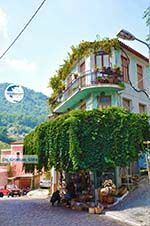 Agiassos is located on the slopes of Mount Olympos, at 475 meters altitude, in the south of the island of Lesvos/Lesbos, 32 kilometres west of Mytilene. 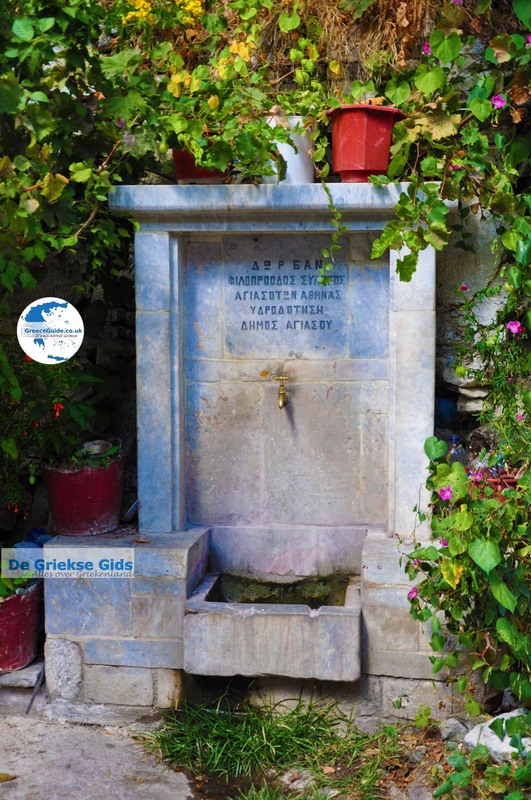 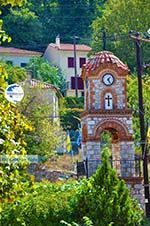 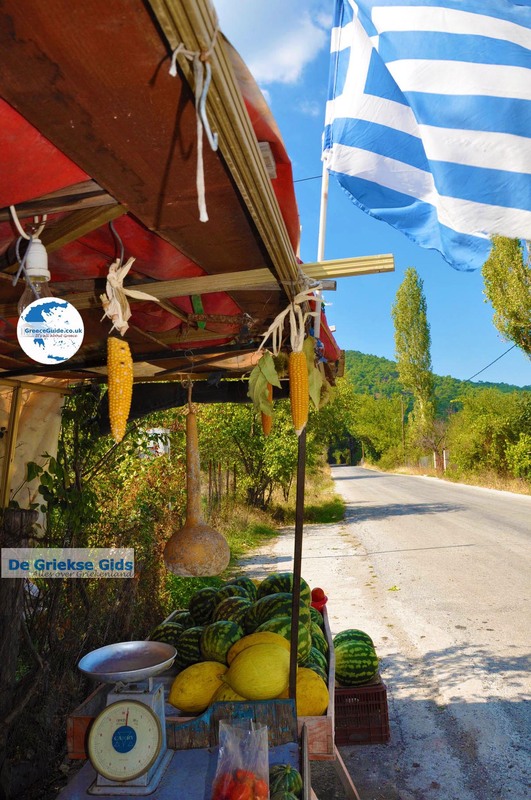 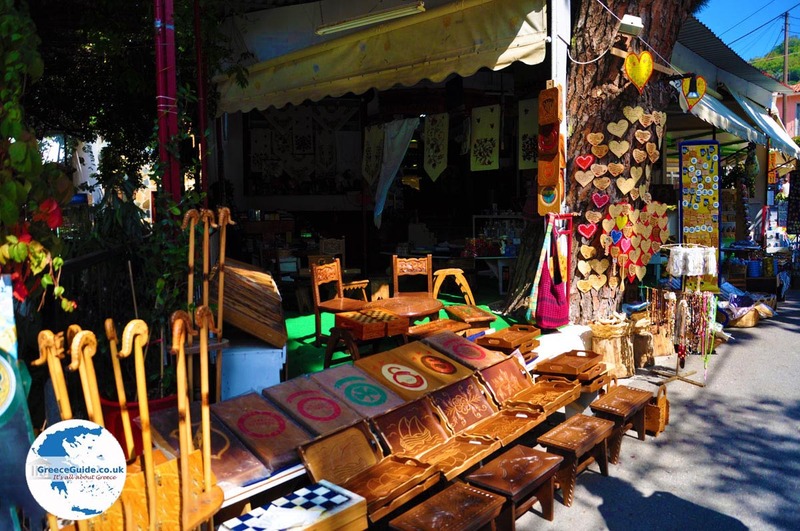 It is best known for the St. Mary's Church and the residents have shown over the centuries that they want to maintain the Greek Orthodox and traditional values â€‹â€‹of the place. 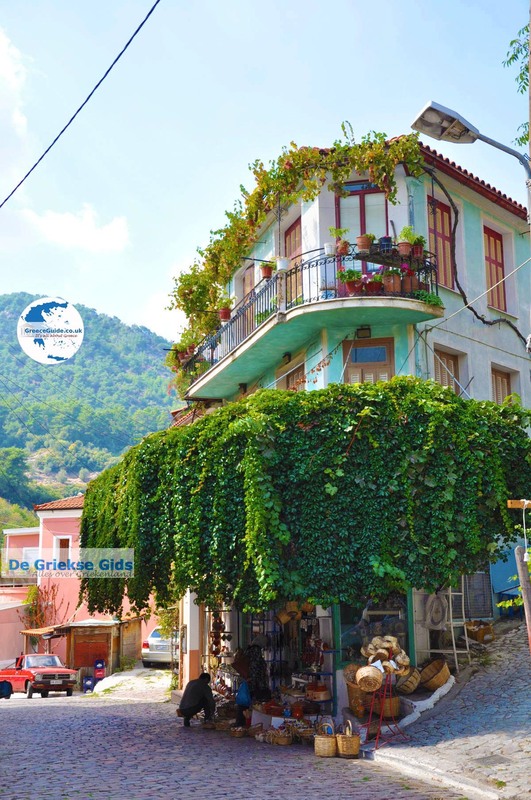 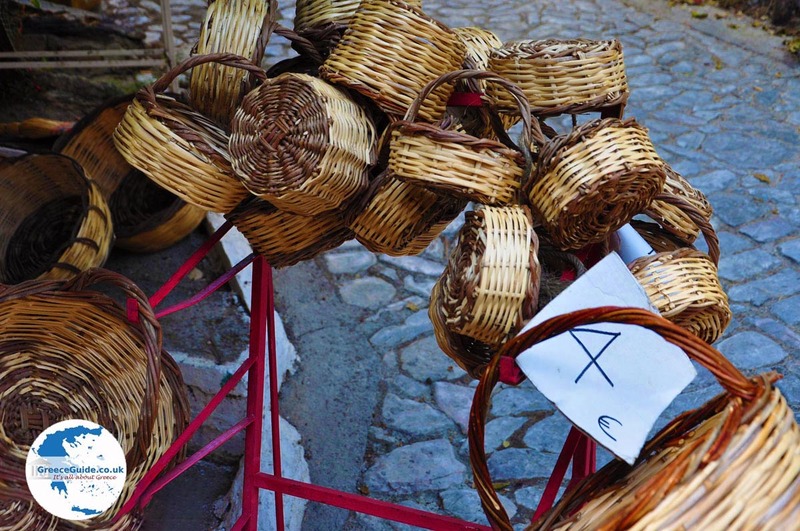 Agiassos consists of many cobbled streets, traditional ceramic roofing, stone houses with small balconies and coloured doors and windows.